Are Buffett & Investment Bankers Trying To Pre-emptively Define Her As 'Angry' & 'Too Liberal' Before The Rest Of America Hears Her Speak? 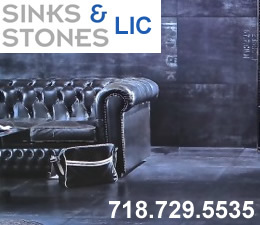 April 6, 2015 / Village Neighborhood NYC / Government & Politics NYC / News Analysis & Opinion / Gotham Buzz. In the past few months I have overheard a number of people chatting about Elizabeth Warren, the Democratic Senator from Massachusetts. So when I heard that she would be speaking at the Union Square Barnes & Noble in late March of 2015, to promote the paperback release of her book entitled A Fighting Chance, I decided to see for myself what they were talking about. Up until this time I knew little about Senator Warren except that she had retaken the Massachusetts Senate seat for Democrats - that Scott Brown had won for Republicans - shortly after the death of Democratic Senator Ted Kennedy. I arrived a bit early to get my bearings, as there has been a growing groundswell of support for Senator Warren to run for President. Like Barack Obama in 2008, she would probably have to beat Hillary Clinton, even though Hillary has not yet formally announced that she's running. Nonetheless, just like eight years ago, Hillary has already been anointed the Democratic candidate / victor by the mass media political polls and pundits. Queen Hillary's coronation may be premature, as she continues to slip in the polls versus her potential Republican rivals, including Prince Jeb - likely due to the email debacle, and perhaps a growing reminder of the Clinton family public dramas of years gone by. Many of the seats facing the podium on the fourth floor were filled, while the remainder of them were filling up steadily. I had been told by someone earlier in the day, that most of the folks in the audience would likely be older people. So I was surprised to see that while the audience contained a number of older people [let's say over 50 / 60], a majority of those in attendance were actually younger people [under 40 / 50]. What follows is an account of the Elizabeth Warren speech - or shall I say her Law-School-like lecture - and the crowd's reaction to it. The report also includes a preliminary examination into why those in the investment banking sector, like Warren Buffett, seem uncomfortable with the idea of Elizabeth Warren's rise as a potential or eventual Democratic candidate for president. And at the end of the report we added a brief historical review of the front running Bush and Clinton family performances on the national stage over the past three decades. 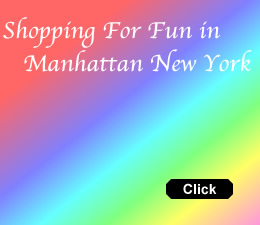 Click here to read the rest of our story about Elizabeth Warren in Manhattan NYC. 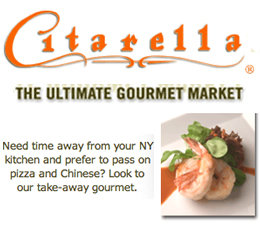 April 6, 2015 / Manhattan Village / Government & Politics NYC / News Analysis & Opinion / Gotham Buzz. Continued. 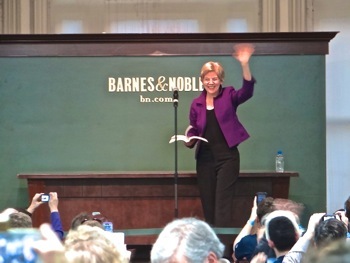 It wasn’t long before Senator Warren appeared on the fourth floor of the Barnes & Noble bookstore at Union Square. The Barnes & Noble publicity people had arranged a 1 – 2 minute step-and-repeat photo opportunity to those of us in the press, after which we were instructed to exit the space. 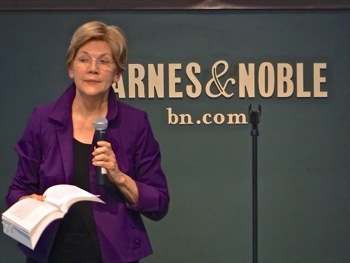 I wanted to hear what Elizabeth Warren had to say so I had purchased a book earlier in the day. Hence, after the photo shoot, I took my place among the audience. Elizabeth Warren stepped up onto the stage and the crowd stood up and gave her an approving round of applause. She smiled and waved, and for a moment it seemed like she might be on the campaign trail. It didn’t take her long to ‘settle down the class’ - meaning us, the audience - and she started verbalizing some of the contents of her book, which she held in her hand. She told us the tale of her childhood, which began in Oklahoma in 1949, only a few years following WWII. Elizabeth grew up alongside three brothers, each of whom – she told us – served in the United States military. Her mother took a minimum wage job at Sears to support the family following her janitor father’s death. 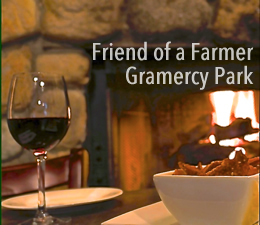 Elizabeth attended community college which, she informed us, cost $50 per semester. Hers was a human story, but its lessons weren’t forgotten. The point of this narrative arrived when she told us that she grew up at a time when America was investing in its people. 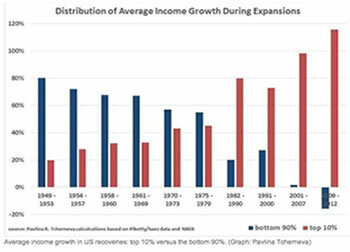 The chart to your right shows the income gains made by the bottom 90% [blue] versus the top 10% [red] in the recovery periods between 1949 and 2012. In the last quarter century the bottom 90% have not shared in the recovery period gains. Is 21st Century Minimum Wage Akin To 19th Century Child Labor? For decades I have heard about how raising the minimum wage will reduce employment. It's a sound and reasonable economic argument. But listening to Elizabeth Warren’s speech made me ponder the other side of that equation: what’s the point of working if you can’t make enough to live on? Participating in the economy at this level only perpetuates an abusive social / economic system. It occurred to me that not paying a fair minimum wage for the use of someone’s time / labor is the 21st century equivalent of the 19th century exploitation of child labor. In the 20th century Child Labor Laws were passed to help / save people who could not help / save themselves. 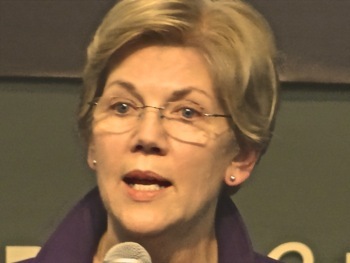 Elizabeth Warren is credited with founding the Consumer Financial Protection Bureau [CFPB]. At the time the law was passed creating the bureau , there was a one in five chance that if you bought a home, it would end up in foreclosure. Elizabeth studied law and became a professor. Today she is the only Harvard Law Professor who was educated in public schools. She didn’t include this journey in her speech. As a law professor, she focused her research on banking regulations and bankruptcy. She gave us a brief legal and economics history about the regulatory changes made to America’s financial system over the past few decades. Decades, I might add [this is me ruminating again, not her words], during which the nation was presided over by the families of the two leading candidates of the Democratic and Republican parties. Elizabeth did not say this in her speech, but it’s an important point, and one I took a closer look into following her speech. I included my findings in this report, following this account of Elizabeth Warren’s speech. She went on to talk about government programs initiated during this time which were designed to invest in the citizenry / the people of the United States of America. She cited the G.I. Bill of Rights, which was passed as the Servicemen’s Readjustment Act of 1944, which paved a pathway for returning servicemen to obtain low interest loans to buy homes, start businesses and provided tuition payments for higher education. In 1958, the NDEA or National Defense Education Act, was passed providing incremental funding to educational institutions at various learning levels. The passage of the law was in response to the Russians’ successful space program and a concern that America was losing its technological edge. Elizabeth went on to talk about other investments America made back during her childhood in the 1950’s and 1960’s. 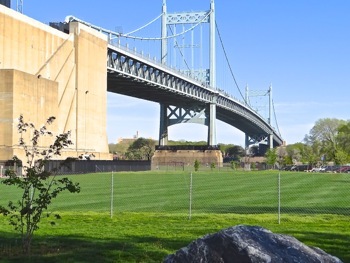 Investments in the nation’s physical infrastructure like roads, tunnels, power grids and bridges. Elizabeth ended this segment of the book / lecture / speech by including the investments the government made in original research like those made in the National Institute of Health [NIH]. She informed us that this original research becomes, in some measure, the starting point of translating theoretical discoveries into pragmatic solutions to problems, like health conditions. See the chart above [next to Minimum Wage headline] showing the 90% [blue line] getting some measure of income growth between the 1940's and 1970's. In the 1980’s that all began to change. 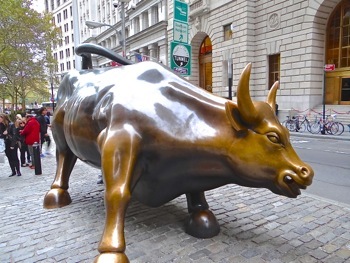 She notes that the first unraveling of what one could call economic justice for all was that the elected officials “fired the cops” on Wall Street by beginning the unraveling of the regulations put in place during the Great Depression. 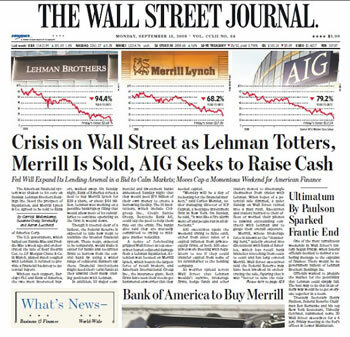 They “turned the Wall Street bankers loose”. Senator Warren told us that the next step was to enrich the rich further, by cutting taxes for the top income earners and the big corporations. Editor’s Note: Senator Warren didn’t name names, but the wealthy and corporate tax cutting was done by President Reagan during his terms in office [trickle down economics] and it was done again, on an even grander scale, during the presidency of George W. Bush. In both cases these two presidents didn’t pay for the tax cuts with spending cuts, but rather ran up America’s debt and had the national treasury borrow the money to ease the tax burden on the corporations and the wealthy. The Clintons did not pursue this borrow to reduce taxes policy, and actually course-corrected some of this unsustainable taxation policy, which for a brief period closed the deficit and provided a surplus. For charts showing the budget deficits of the Bush / Clinton / Bush era scroll down to the section that starts with the headline: Are The Clintons and Bushs American Royalists?. Elizabeth Warren is 65 years old, so relatively speaking, this is only a few decades ago. Her figures are in real terms, which means they are adjusted for inflation, so in today’s dollars the costs are far higher than just applying the percentage to the dollar amounts. She told us that the American Society of Civil Engineers estimated that America is about $3.2 trillion behind in making physical infrastructure investments to keep pace with the global economy. Investments that will enable us to keep our edge, so-to-speak. Elizabeth told us that China invests 9% of its GDP in infrastructure while the United States invests 2.4% of its GDP. She noted that the Republicans want to cut this sort of spending further. Editor’s Note: It’s difficult to determine what the optimal spending in infrastructure should be, per se. One of the reasons that China’s infrastructure spending is so high is that for over a century, their infrastructure spending was so low. In 2007 a heavily traveled bridge traversing the Mississippi River collapsed in Minnesota. This is collapse of infrastructure is anecdotal evidence that supports the notion that America has not been investing enough in its infrastructure. The Minnesota bridge that collapsed was the I 35 W Mississippi Bridge. Elizabeth told us that with respect to national investments in original research, the National Institute of Health budget has been cut 50% in real terms since the 1970’s. She concluded this section of the speech by noting that between 1980 and 2012, ninety percent Americans collectively shared in 00.00% of income growth, versus during the 1950 – 1980 period where the bottom 90% of American citizens also shared in the nation’s income growth. I looked up some of Senator Warren’s claims after the lecture, and the factual evidence supports her statements. 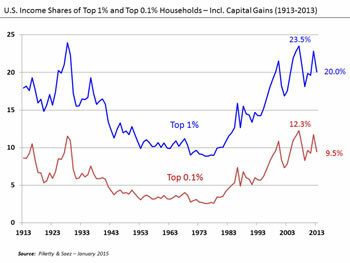 I found a graph on Wikipedia that clearly shows how the top 0.1% and the top 1% have been taking the lion’s share of income growth in the nation, as well as overall wealth [see graph at right]. It’s not a pretty picture and the graph clearly brings home what we’ve been hearing, and many Americans have been feeling for some time now - that the rich are getting richer and the middle class is shrinking. 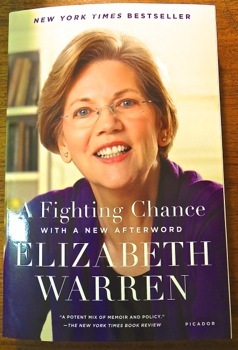 Hence, the title of Elizabeth Warren’s book is A Fighting Chance. It’s time for middle class and lower income Americans to fight back by making sure their interests are represented by their elected officials in government. She says it’s an optimistic book because middle and lower class Americans still have a fighting chance. 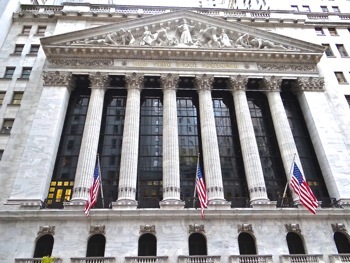 In 2009 the U.S. government passed the Troubled Asset Relief Program or TARP to provide $700 billion to bail out U.S. financial institutions from having made huge leveraged bets on highly risky assets. The TARP was also used to prop up Fannie Mae and Freddie Mac, government backed lenders, which had been buying questionable mortgages made by banks to undocumented and unqualified buyers. Editor’s Note: Senator Warren didn’t mention this, but a few months prior to the passage of the TARP by the Obama Administration in 2009, the Bush Administration had spent $300 billion patching the increasing number of holes bursting in the U.S. financial system in the fall of 2008. From what I understand, but don't have the time to research, is that the fiscal policy stimulus spending paled in comparison to the support provided by the Federal Reserve Banks. Enter Elizabeth Warren is currently a law professor from Harvard University. She has spent a good part of her professional career understanding banking regulations and the banking regulatory environment. She has focused her research on how the effects of banking deregulation have impacted the household finances and wealth of middle class Americans. In 1989 Oxford University Press [England] published her first book entitled As We Forgive Our Debtors: Bankruptcy And Consumer Credit In America. Since then Elizabeth Warren has published eight more books, the most recent of which is A Fighting Chance. Most of Elizabeth's books are about the plight of the American middle class and the impact of banking on them. But Elizabeth doesn’t just identify and assess the problems, she has sought to correct them too. 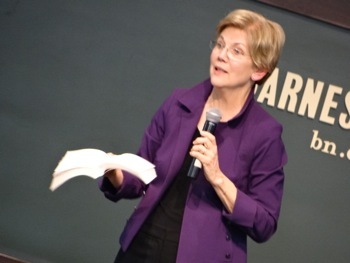 In 1995, during the Clinton years, Elizabeth Warren was recruited to work on the National Bankruptcy Review Commission where she fought – unsuccessfully – to prevent the legislation that limited consumers’ right to declare bankruptcy. 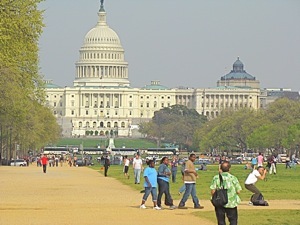 Ten years later, in 2005, legislation was passed by the Bush Administration which severely curtailed consumers’ ability to file for bankruptcy. During those ten years Elizabeth began to float the idea of a consumer financial protection bureau to help consumers take the banks and other financial institutions to task when the banks or financial institutions stepped out of line. She told us that there were plenty of laws on the books to protect consumers, but that they were scattered amidst seven different agencies, which for each agency, consumer financial protection was a low priority. In fact, she notes, it wasn’t even one of the top three priorities for any one of them. 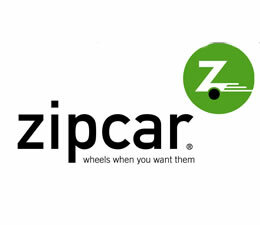 She started advocating for putting the departments of the seven different groups under one roof and empowering them to help the consumer. 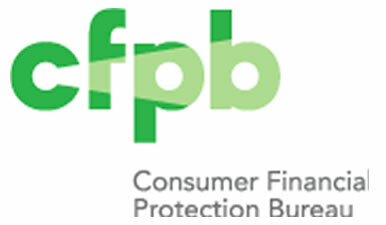 The proposal for a Consumer Financial Protection Bureau [CFPB] was inserted into the Dodd Frank Financial Reform Package of 2009. Elizabeth told us that the big banks strongly opposed the idea of the Consumer Financial Protection Bureau and began spending a million dollars a day on lobbying efforts to get the agency written out of the Dodd Frank Bill. She told us that the bill was passed intact in the House with the then-Democratic majority, but got stuck in the Senate. She was told the Dodd Frank Bill would be passed, but that the Consumer Financial Protection Bureau would die a quiet death in committee, so that no Senator would have to publicly vote against it on the Senate floor. It wouldn’t look good to the financial consumers / voters back home, if they saw their Senators kowtow to the Wall Street bankers instead of voting for the interests of the people who had elected them. It might even incite their constituents to vote for someone else during the next election cycle. Elizabeth sought and got help to bring the bill to the Senate floor with the Consumer Financial Protection Bureau still in it, where the bill passed on July 2010. She didn’t mention this, but in 2011 Elizabeth Warren was appointed as an Assistant to the President and Special Advisor to the Secretary of Treasury for the Consumer Financial Protection Bureau as Republicans would not approve her as its head. In fact the Republican party appeared to not want to approve anyone as its head, so in January 2012 President Obama used an Executive Order to do so. She told us that since its inception, the Consumer Financial Protection Bureau has won back $5 billion from the big banks and financial institutions. After her speech I looked up some of the Consumer Financial Protection Bureau battles and wins, which included stopping banks from forcing consumers to buy financial analyses as part of their accounts, stopping banks from charging consumers unwarranted fees like for going over a credit card limit [which the financial institution had the electronic power to limit] and preventing banks from ‘selling’ consumers into the highest interest rate mortgage option. Recently the Consumer Financial Protection Bureau sued a large debt collection firm, which has been accused of relentlessly harassing numerous people who are behind on their payments. This event turned out to be far more than I had expected. Her message seemed to be a very powerful one. She was calling on the people of this country to start paying attention to what’s going on in government, and the voters to start paying more attention to the actions of their legislators / elected officials. Elizabeth Warren appeared to be rallying the middle class and lower income Americans, calling on them to get off their sofas, and out from behind their televisions and computers, to start fighting back for a nation they were gradually losing to the super rich and wealthy. Hence the name of her 2014 book is, A Fighting Chance. 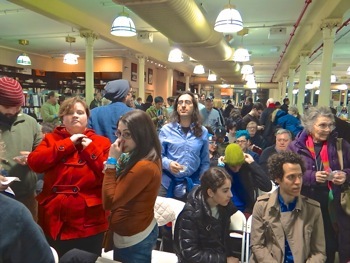 The bookish audience appeared to like what they heard. They enthusiastically cheered and clapped throughout her presentation. 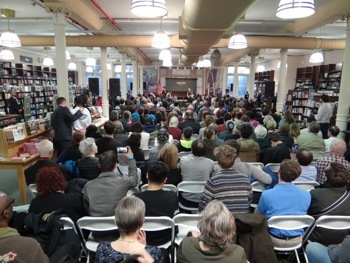 I felt a real energy among the crowd in the Barnes & Noble bookstore on 17th Street off Union Square in Manhattan. It was something that I had not seen or felt for a very long time. Days later it occurred to me that the Occupy Wall Street constituents may have now have a standard bearer. Multi-Billionaire Buffett Says Senator Warren "Too Angry"
I have seen videos where Warren Buffett has called Senator Elizabeth Warren "too angry". Two of Buffett's top three investments, worth $43 billion in 2014, are banks and financial services companies. Buffett also owns significant numbers of shares in at least a half dozen financial / banking companies. Most of the rest his holdings are in large multi-national companies, which do a considerable amount of international trade, which Professor Warren would soon discuss. Elizabeth returned to a personal story. It was in 1997 when she was invited to Washington to meet with Senator Ted Kennedy. It was to be a short ten to fifteen meeting where she would have an opportunity to talk about what would one day become the Consumer Financial Protection Bureau. An hour or two later, as she was preparing to leave, she asked the Senator if he would help lead her effort. He said he would support it. She asked him if he would do more than just support it, but actually help lead it. 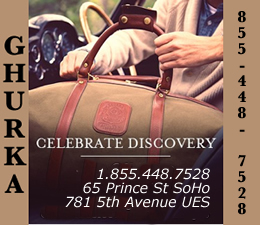 After some pause, and several glances at an already full brief case, he said he would. She walked out of his office, leaned against a wall and started crying. She said that in spite of Ted Kennedy’s already heavy workload, he had agreed to take up the fight, not because she was powerful, or super wealthy or even the leader of an interest group – but because it was “the right thing to do”. She said Ted Kennedy kept his word and helped her fight for consumer financial protection until the day he died. She went on to tell us that that meeting, changed her view about government service. And it changed her mind about actively participating in the government / political process. 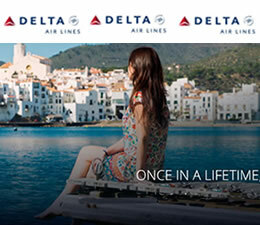 And that it has subsequently changed her life. In mid / late March of 2015, the big banks lobbying branch – in a highly unusual move - threatened to withhold donations to the Democrats if they continued to allow Senator Warren to continue speak out against the investment bankers on Wall Street. Warren said that this was a tangible manifestation of just how far things have gotten out of control. That the bank lobby would go so far as to threaten withholding donations to the entire Democratic Party – not just her campaign. This was clearly a threat to intimidate her, a United States Senator, to keep quiet. I looked up this incident after her talk and it was true. The bank lobby had indeed threatened to withhold campaign funding from the Democratic Party if they didn't clamp down on Senator Warren. The news accounts also noted that, relatively speaking, the bank lobby doesn’t have a lot of money to throw around [only millions], as many of the investment banks handle campaign donations on their own. She went on to say that she’s only advocating for two things: 1) that banks / financial service companies are not allowed to cheat people and 2) that they are not allowed to risk destroying the financial system / economy. The next segment of Professor Warren’s talk [or shall I say our next lesson] was regarding what’s going on in international trade. Elizabeth said that there’s a movement afoot to provide the Executive Branch of government with the power to cut free trade deals with only an up or down vote by Congress. She told us that international trade used to be about tariffs / taxes on imported or exported goods, but that these days it’s about all sorts of other things. Today trade deals are oftentimes as much about things like safety for a nation’s workers, protecting clean air and water, and protecting strategically important resources as they are about tariffs. For example the Japan wants to limit the use of nuclear power because of the near meltdown of one of their reactors, Uruguay wants to include warning labels on cigarettes like we do in the U.S. and Egypt wants to raise the minimum wage. But, Warren told us, large multi-national companies are preventing them from doing so. Egypt was taken to trade court for raising the minimum wage. Canada was taken to court because they wanted to require an environmental additive to their gas. Uruguay was taken to court because they wanted warning labels added to cigarette packages. These countries backed down in the face of the multi-national corporations allegations, influence and resources. Senator Warren told us that the problem is that the international trade regulatory bodies and laws were put in place in the 1950’s when the world was quite a different place. Governments had more power over their own economies and the multi-nationals weren’t so powerful as they are today. Multi-nationals can sue a nation today over things like package labeling requirements, raising minimum wages or safety requirements surrounding nuclear fuel. The way the laws are written and how the trade bodies process complaints, doesn’t allow the accused nation to appeal, and they can get fined for non-compliance. And, she told us, many of these trade bodies are populated by attorneys who work or come from firms that represent the large multi-nationals. Senator Warren told us that it doesn’t matter if it’s a human rights issue like wages or smoking, or whether it’s an environmental issue like clean air or water. She went on to day that in the first 50 years of these trade regulations, there were 100 cases taken to court. 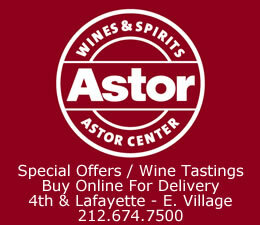 In the year 2012 alone, there were 50 cases taken to court. The big multi-nationals are doing this now as a matter of process and what’s happening is that other countries’ big multi-nationals are now contemplating suing the United States too. In essence the large multi-nationals are imposing their corporate will onto entire nations. And they do it through Investor State Dispute Resolution. It’s a powerful tool which enables large American & non-American multi-national companies to impose their wills on legislative agendas around the world. Elizabeth Warren: To Run Or Not To Run? I asked several people after her speech if they thought that her reply was definitive. All of them said no. They told me that they thought she had to say that. I thought about it for a few days following her speech. I had listened carefully, replaying her exact words in my head. She said “I’m not running”. And until she formally announces, I reckon that that statement is true. A few days after the speech I found a video interview where the newswoman kept asking Elizabeth the same question, in different ways, over and over again. So Senator Warren finally said, “I will not run.” And the newswoman backed off. I reckon the folks in the Barnes & Noble bookstore audience were right - she has to say that. Elizabeth went on to say that she had a great job serving the people of Massachusetts and the nation in the U.S. Senate. She told us she’s working on two bills. One is to reduce the interest rate on student loans because she thinks the nation shouldn’t try to profit on its citizenry as they try to educate and invest in themselves. And the second bill she’s working on is to make sure that medical research isn’t cut and that it gets funded by taxing drug / healthcare company profits. She talked about how the National Institute of Health does a lot of theoretical research. And that their research eventually leads to venture capital investments in pragmatic health care technologies and eventually life-saving or quality-of-life drugs that become blockbusters yielding great profits. By taxing some of those profits to reinvest in the original research, the funding / research cycle becomes regenerative. She returned to a statement she had made at the opening, regarding her interest in raising the minimum wage. She didn’t think it was right for people to put in a forty of fifty hour workweek and have to live in or even below poverty. And she was an advocate for equal pay for equal work. Warren - Is Doing The Right Thing A Left Wing Agenda? Senator Warren ended her speech by saying that she knew she was a nerd. She said that we know what’s wrong with the country / system and we need to fix it. And she said that doing the right thing isn’t a left wing agenda. Elizabeth told us that she was thankful to this country for investing in her … for giving her a chance to do something with her life. And that she wanted to be sure that current and future generations of this nation have the same opportunities as she had, even if their father is a janitor and their mother works at Sears. She concluded that this is a democracy where the choices we make as individuals, collectively add up to the choices made by all of us, and they become the choices we make as a nation. So part of that choice is yours. 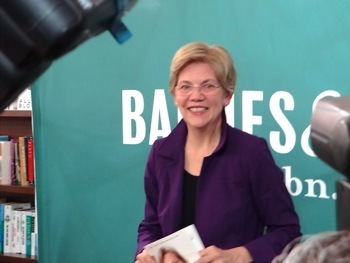 This ends our report on Elizabeth Warren's visit to the Manhattan Barnes & Noble off Union Square. What follows is a journey that I took following Elizabeth Warren's talk. 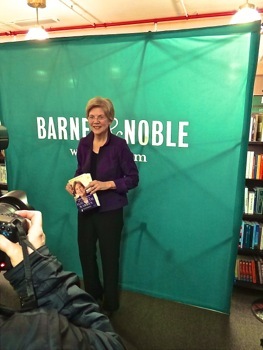 As I left Barnes & Noble I saw some people holding 'Warren For President' placards. I walked out into the cold Spring air and sauntered into Union Square Park. 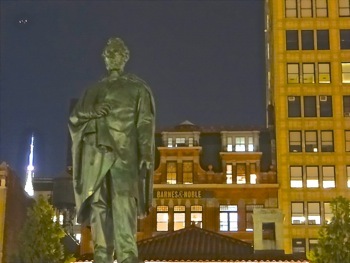 I found myself looking up at the statue of Abraham Lincoln [photo above right with Barnes & Noble store in background] while thinking about what Senator Warren had said. Is doing the right thing a left wing agenda? I thought about the many battles Lincoln had fought to help those unable to help themselves [the African American slaves]. And I felt that this is still a blessed country, because of people like Lincoln, who voluntarily made huge personal sacrifices in pursuit of the greater good. Lincoln used the power of the federal government to free the southern slaves. Because of Linclon's actions the southern region of the nation developed an embedded bias against the federal government, in favor of smaller government, and States' Rights. States' Rights are outlined in the Tenth Amendment of the Constitution, and in spite of their use by slavery advocates, remain an important component of the checks and balances designed into the American system of government. Lincoln was a Republican and thus, over the next century, the southern states generally voted [against Repubicans] as Democrats. After the Kennedy / Johnson 1964 Civil Rights Act was passed - when the federal government used its power again to provide African Americans with full civil / equal rights - the southern states started voting [against Democrats] as Republicans. It is the 150th anniversary of the end of the Civil War this year [ended May 9th, 1865], and there indications that some voters in some southern states have begun re-evaluating party affiliation and the trade offs they have been making at the ballot box. The question in the 2016 presidential race is, whether southerners will vote in favor of candidates who promote policies that favor their economic class, or vote in favor of candidates who promote their cultural views. I suppose, in some sense, that depends on just who the prospective presidential candidates are. Today the battles are fought less with weapons, and more with economic and media power. Perhaps less people physically die, but more are economically subjugated, so that others - like multi-billionaire Warren Buffett - can keep adding zeroes to his $71,000,000,000 net worth. Because of the way the system has evolved, all too many people are prevented from exercising their rights to life, liberty and the pursuit of happiness. Yes, we are all entitled to those rights, but it takes money, knowlege, time and determination to exercise them. Voting is one such right that not enough Americans exercise. Too many citizens don't register to vote and even more don't pay attention to what their representatives in government are doing to them and not doing for them. Perhaps because many Americans are working two jobs to make ends meet, and just don't have the time. Or worse, they think it doesn't make a difference. And because so many voters don't pay attention, they are easily swayed by big money campaign ads that so relentlessly assault them during the campaign season. 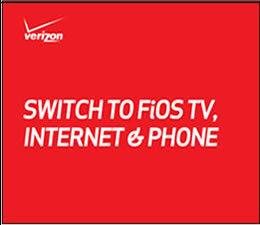 All too frequently political advertisements distort and / or obfuscate the truth. And too much of the public debate is focused on tangential or completely irrelevant distractions. Distractions which are intended to draw voters' attention away from the important and frequently complicated ISSUES of the day; in favor of things like gossip, affairs, and simplistic LABELS. Labels like Liberal or Conservative, or Democrat or Republican, which are supposed to tell you something but in fact provide political cover for those who have either scant understanding of the underlying issues, or nothing of substance to say at all. America is once again at a crossroads, and the people of this nation need to pay close attention. We hope to bring you more on the other [non] candidates, both Republican and Democrat, as we look for opportunities to hear a few of the newer ones to the national stage, speak here in New York City over the next year or so.